We believe that financial planning and investment management should not be limited to the quantity of your assets, but rather should incorporate the quality of your life. We designed our proprietary Life Planning Model to paint a picture of your financial life today and in the future given your goals. Together we test the impact of potential financial events on your plan to determine where the gaps are and employ strategies to bridge those gaps. In this way, we help you feel confident that a financial road map is in place to guide you each step of the way. We follow a defined process to build the financial strategies and investment allocations to help you reach your goals. Yet though the process has six steps, it actually never ends. We build a long-term relationship with you that includes regular meetings so we can keep abreast of the changes in your life—marriage, new home, children’s education, retirement—and work side-by-side with you to adapt your plan to meet all of life’s transitions. We learn about your situation and discuss our services, fee structure, and how we may be able to help you. In our first discovery meeting, we learn about your situation, concerns, and goals, and gather important documents. We assess your situation, including your cash flow, assets, liabilities, and investments. We offer our recommendations touching on all areas of your financial life, including budgeting, taxes, and insurance. We implement and monitor your financial plan and investment portfolio—a continuous process for the duration of our relationship. 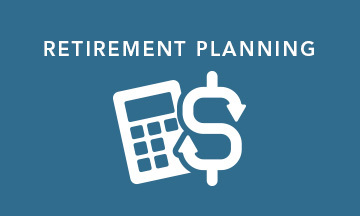 We meet regularly to help ensure that your plan stays current with your life. We encourage you to reach out whenever you have questions or concerns.